On occasion our community is treated to a visit by a musician of the highest rank. 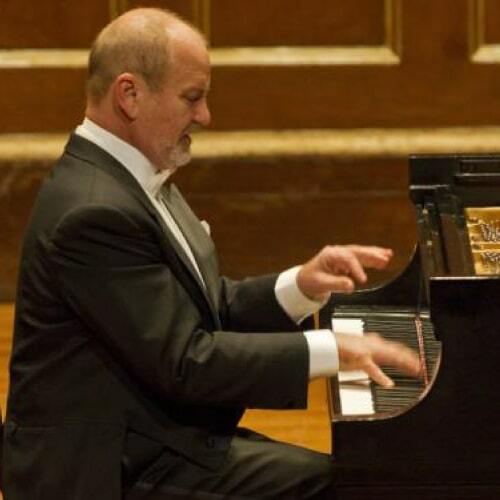 Such will be the case when Mykola Suk, hailed as the greatest pianist to come out of Russia in many decades, performs at the Lorraine Boccardo Black Box Theater in the Center for the Arts at Kayenta on November 3rd at 7:30 PM. The program will feature the renown Schubert “Trout” quintet, and the majestic Beethoven “Emperor” Piano Concerto. Mr. Suk has performed in the world’s most prestigious venues, including Carnegie Hall. His artistic excellence is that “... such an impressive technique was so completely subsumed in the task of musical characterization.” (Toronto Star). Mykola is now Professor at UNLV. Before moving west, he served on the faculties of Moscow State Conservatory, New England Conservatory, and Manhattan School of Music. Tickets will only be $30, and $10 for students! Kayenta Arts Foundation is a 501c3 nonprofit organization whose mission is to develop and create an environment where diverse artistic endeavors can flourish. The Center for the Arts at Kayenta (CFAK) is the actual place where people in the greater southern Utah area come to learn, express, appreciate and celebrate art in all forms. November 3, 2018 starting at 7:30 p.m.